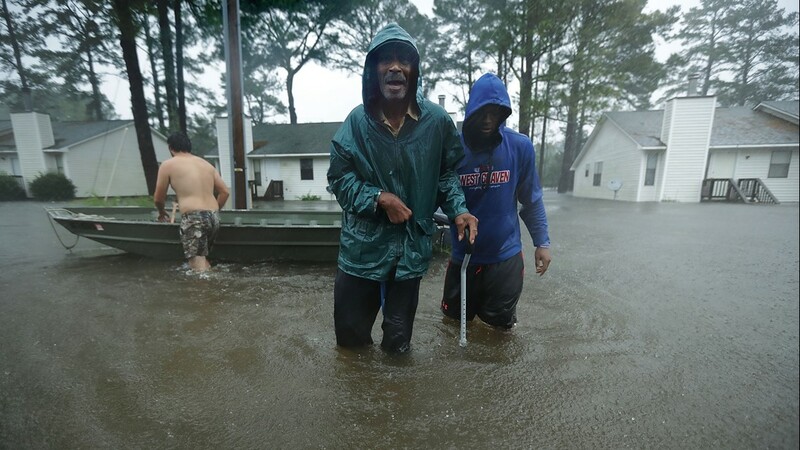 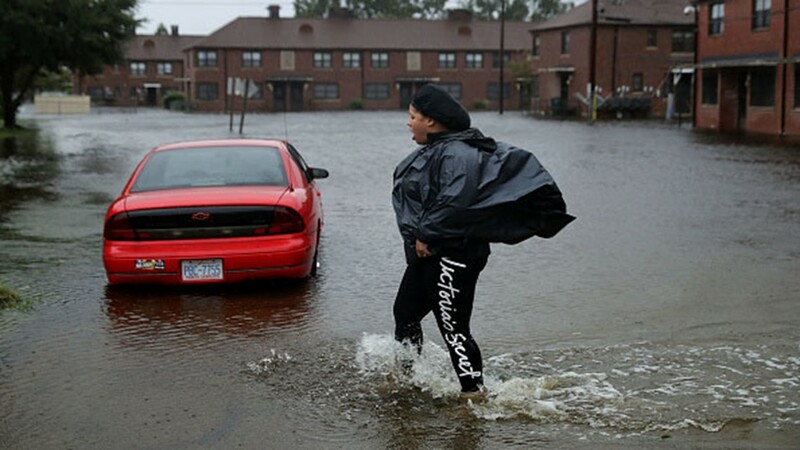 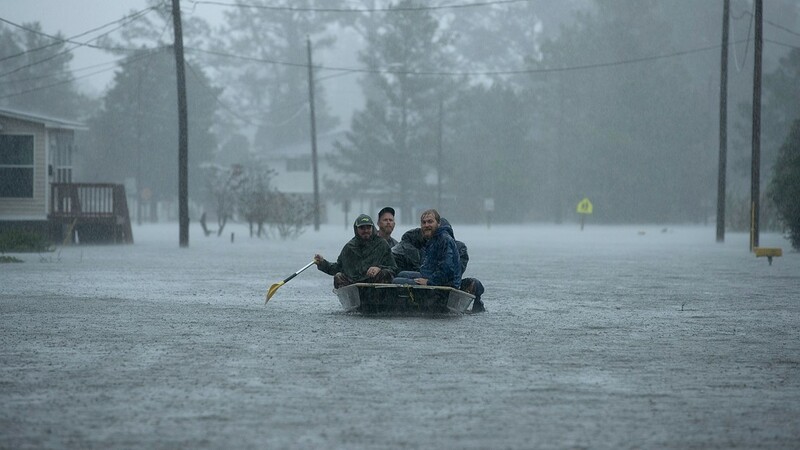 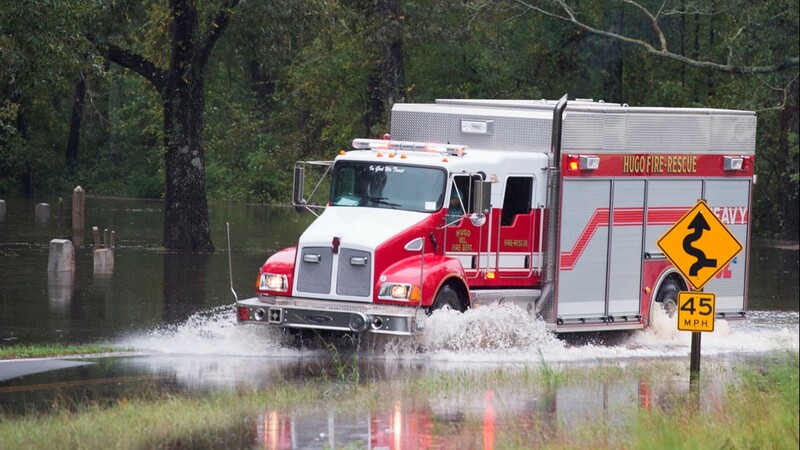 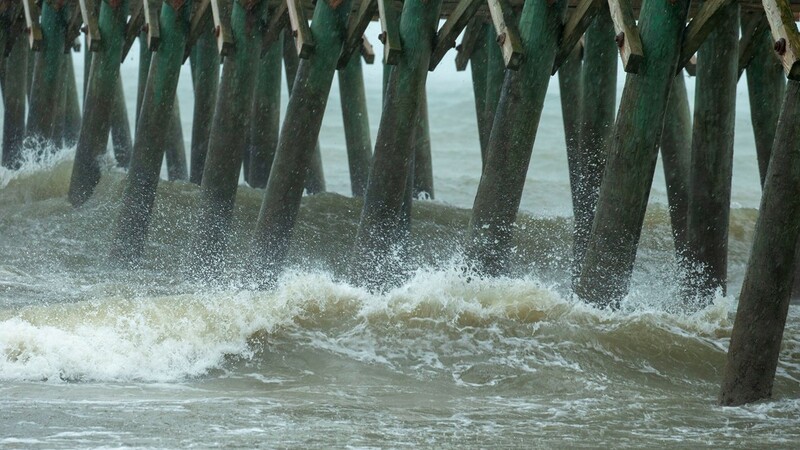 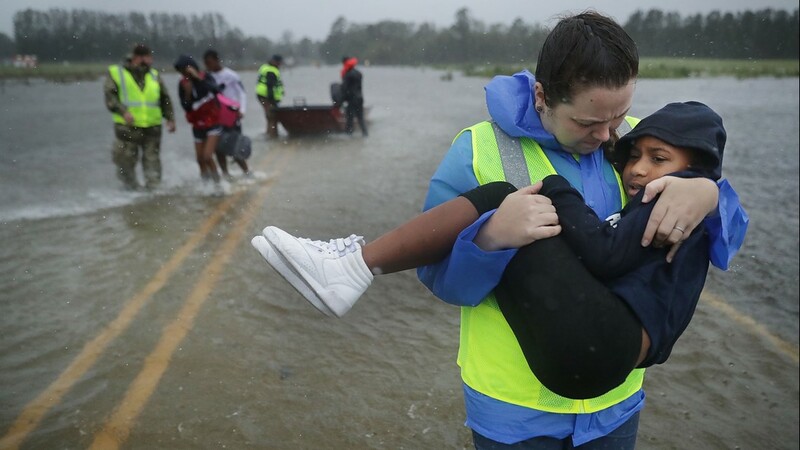 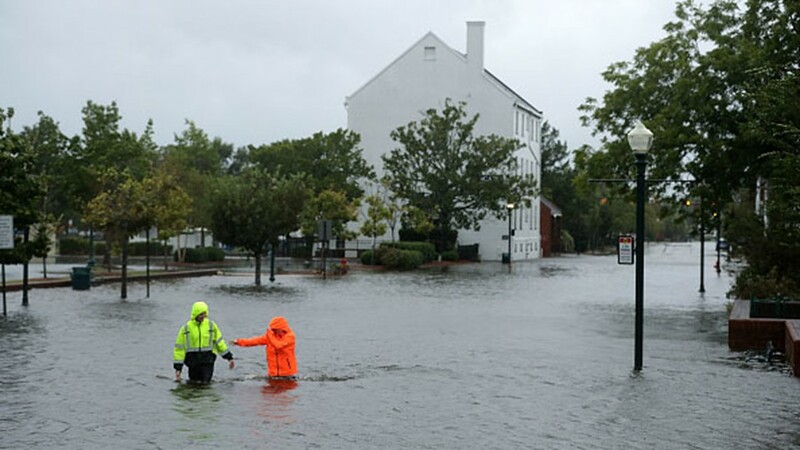 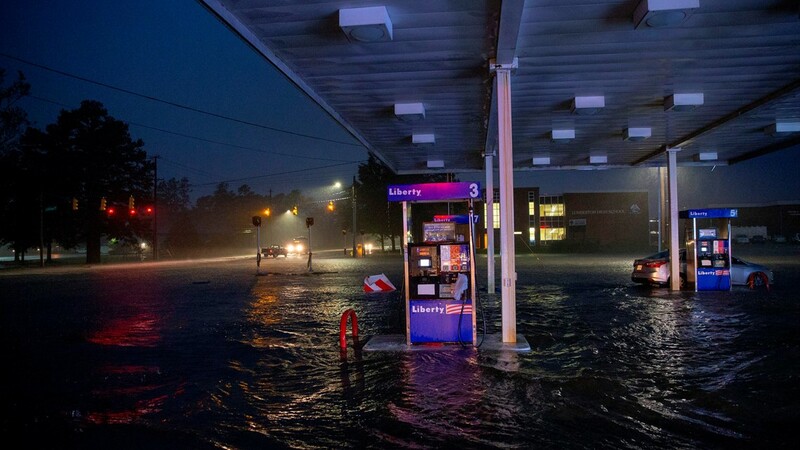 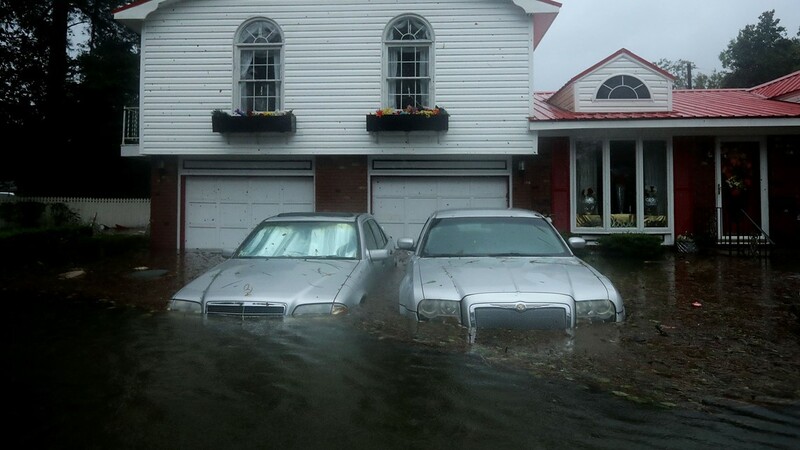 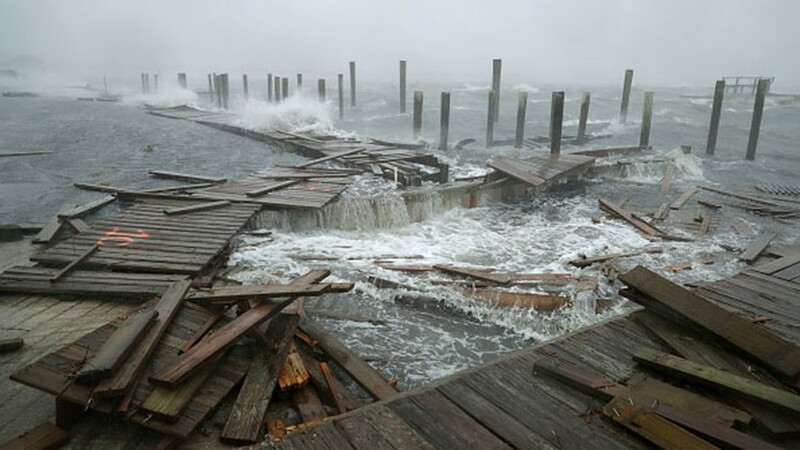 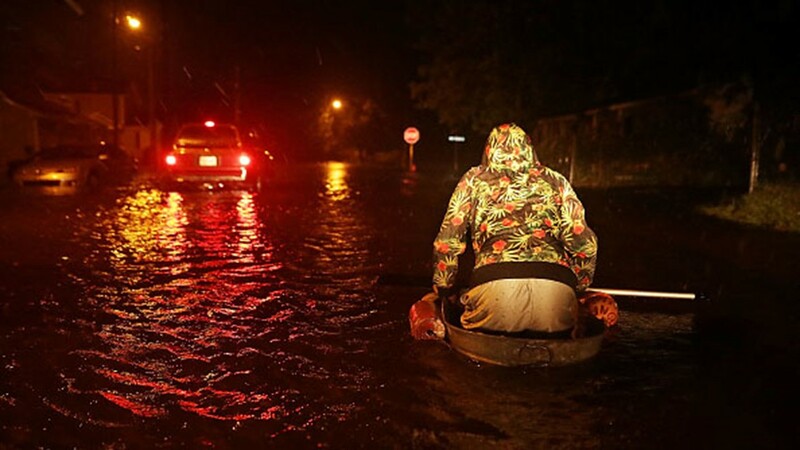 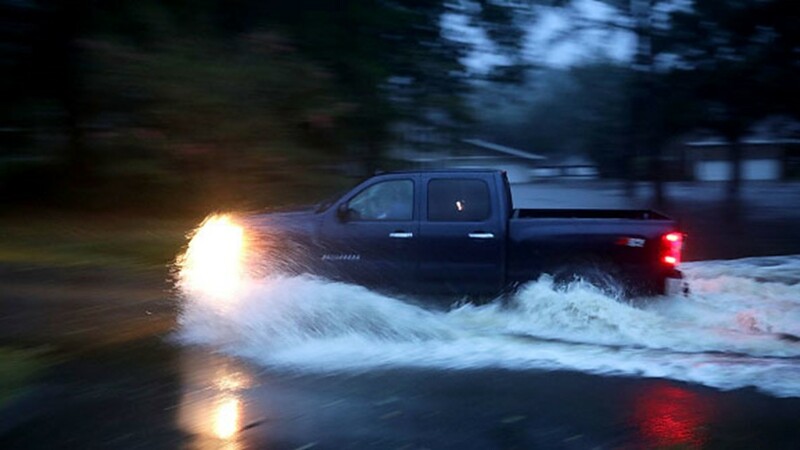 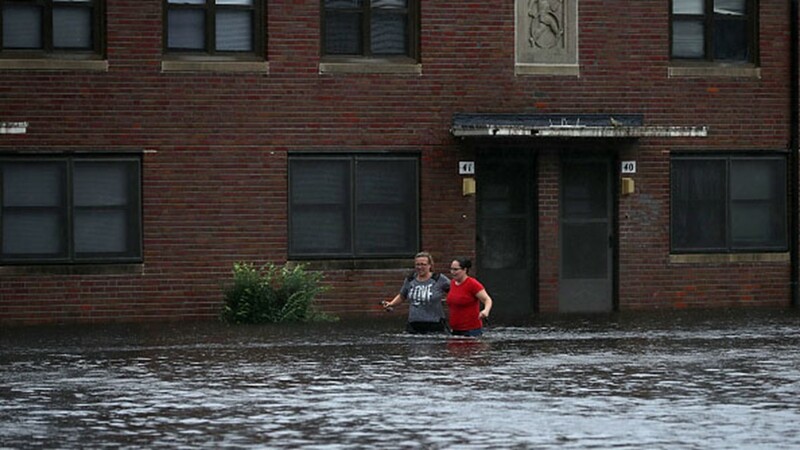 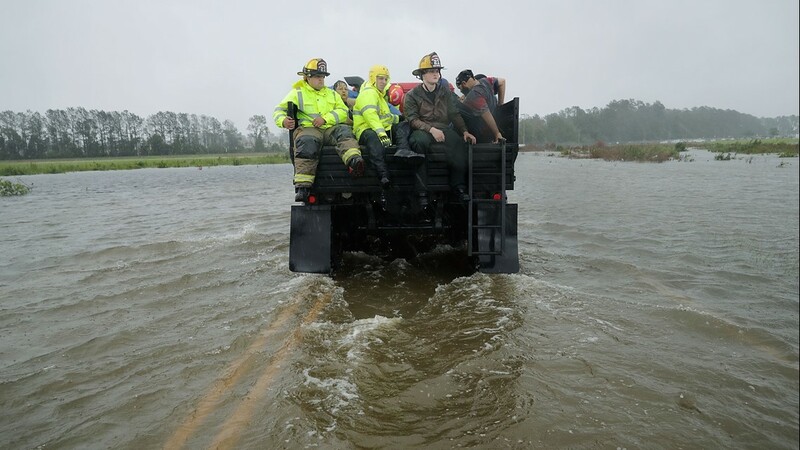 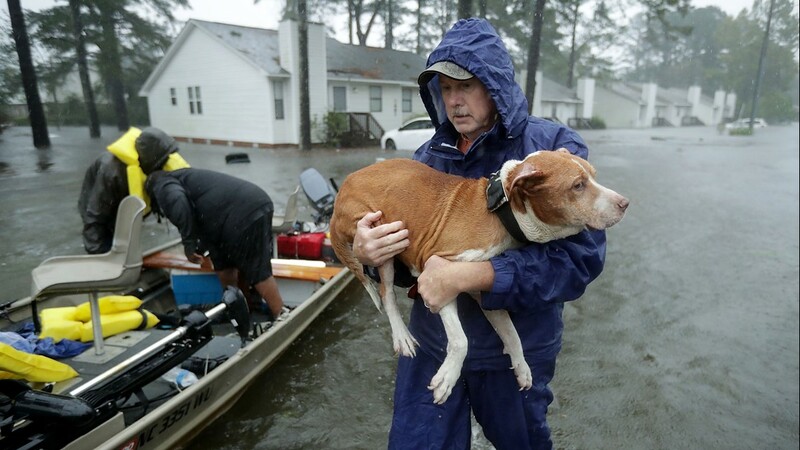 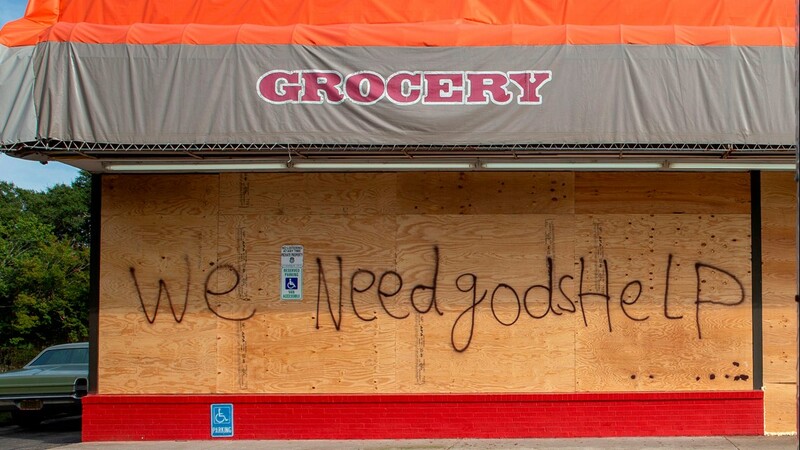 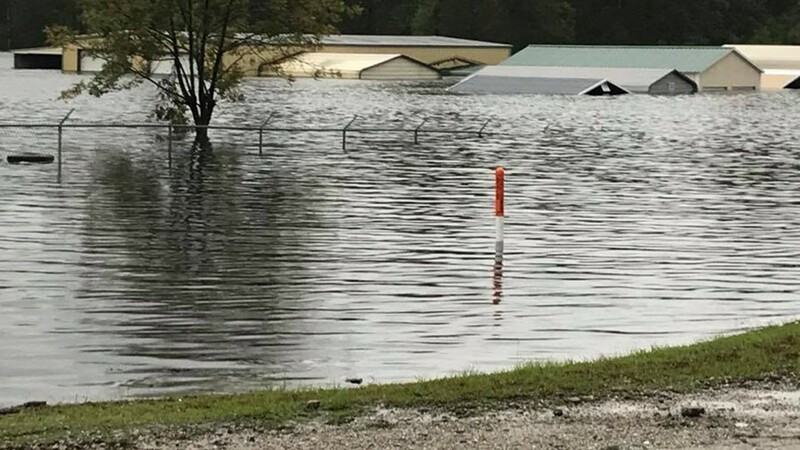 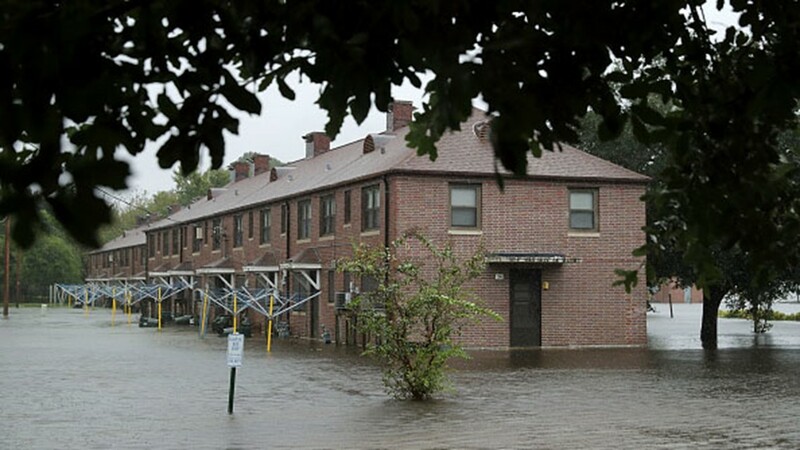 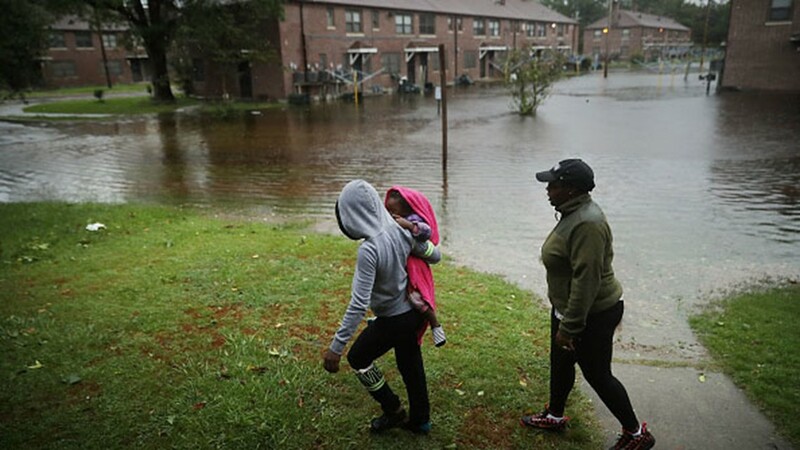 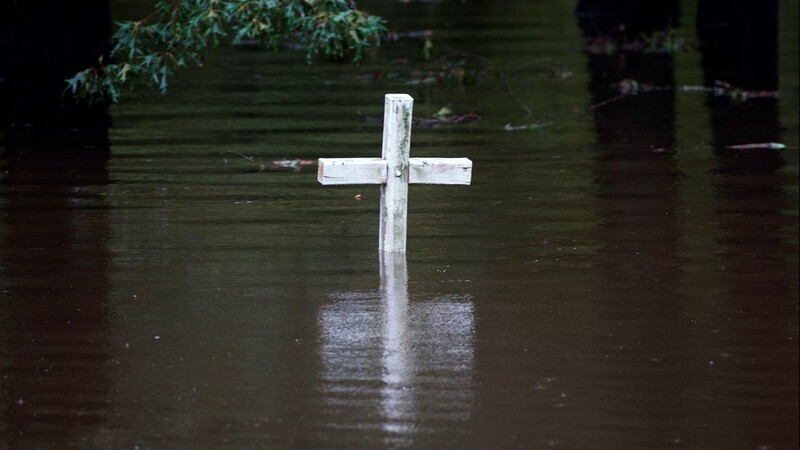 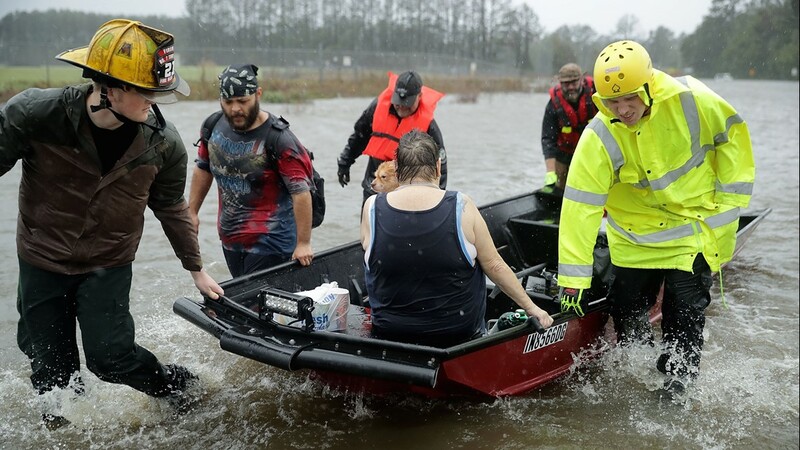 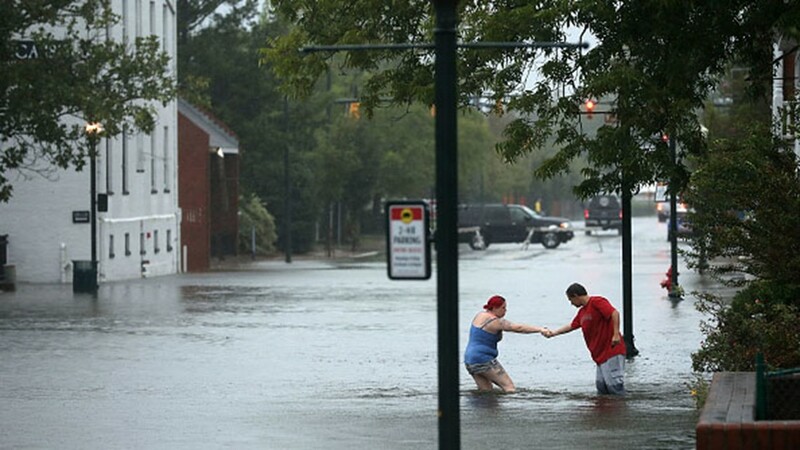 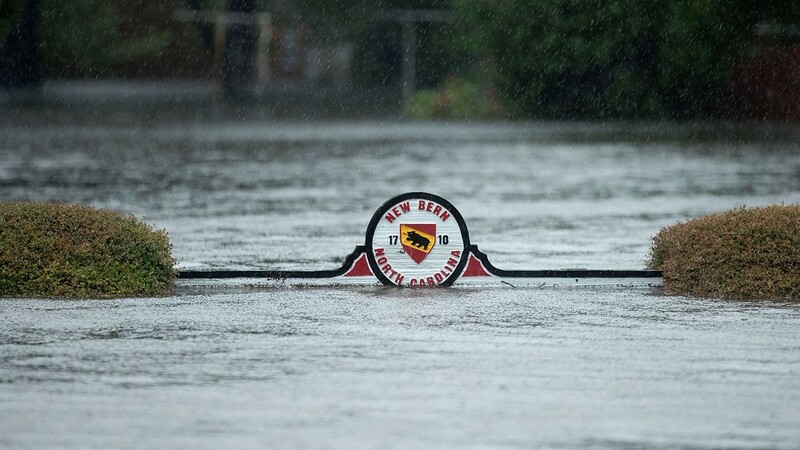 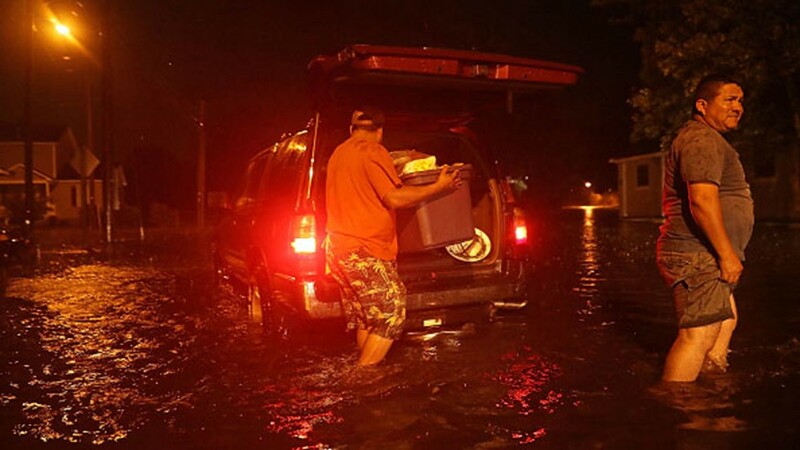 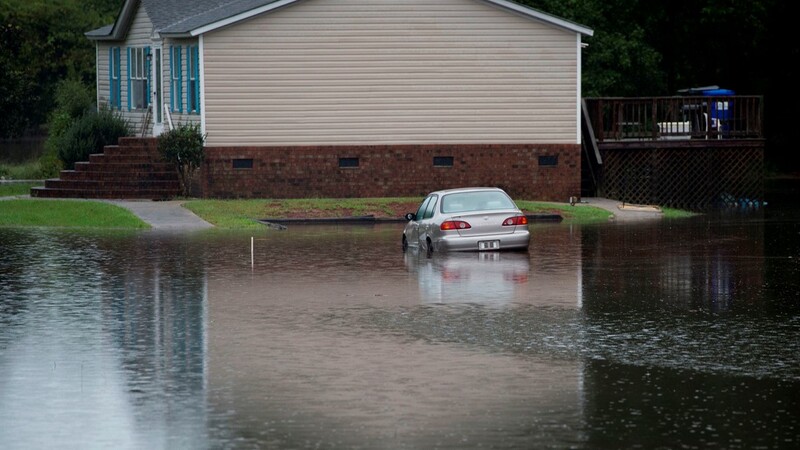 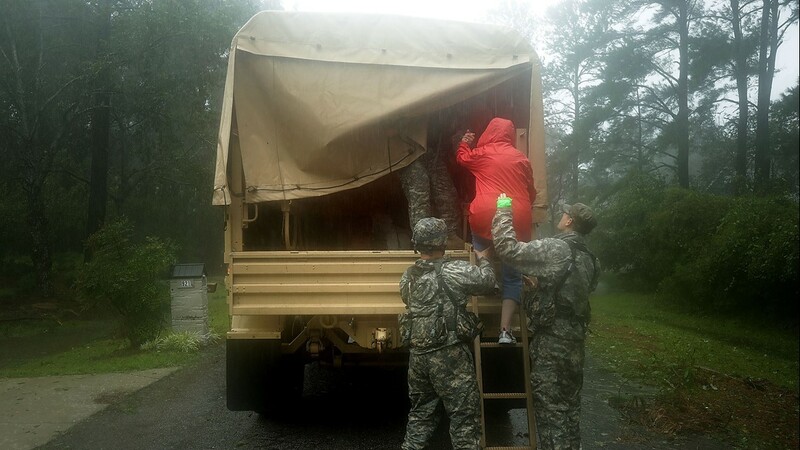 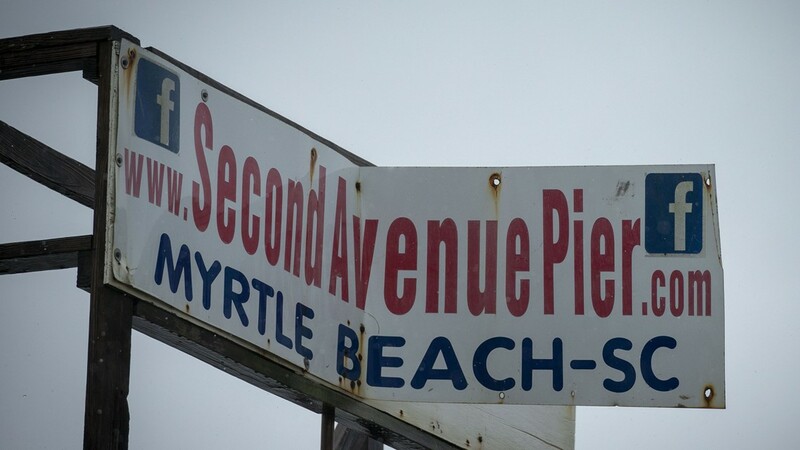 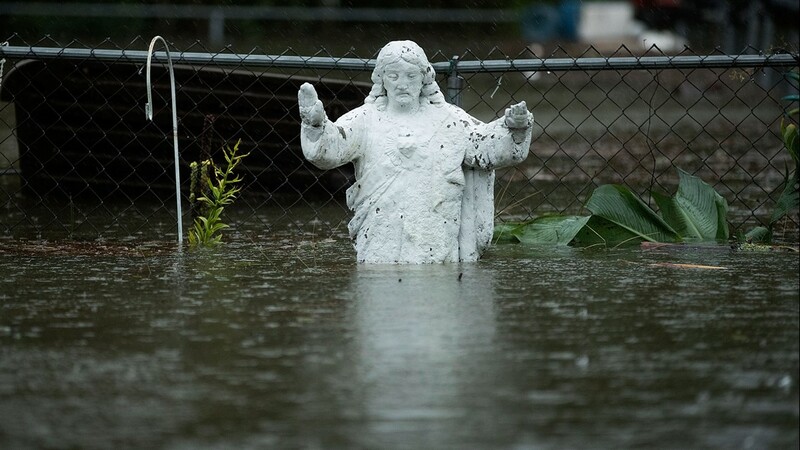 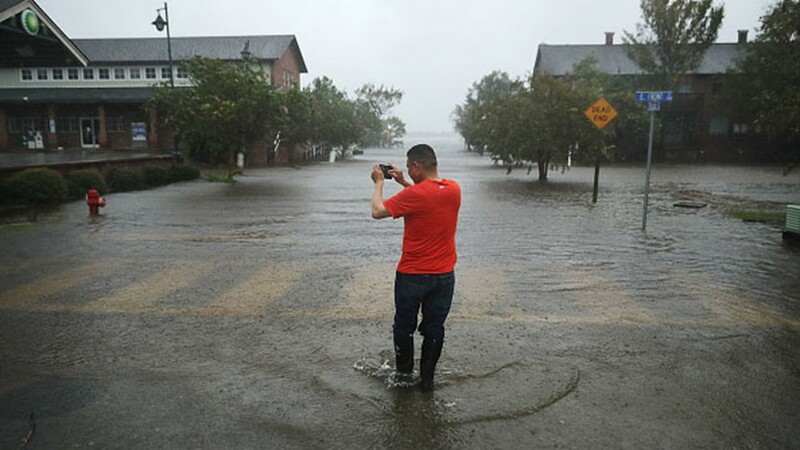 MYRTLE BEACH, S.C. — Hurricane Florence made its swipe at Wilmington Friday, cutting power to thousands and priming eastern North Carolina for major flooding in the days ahead. 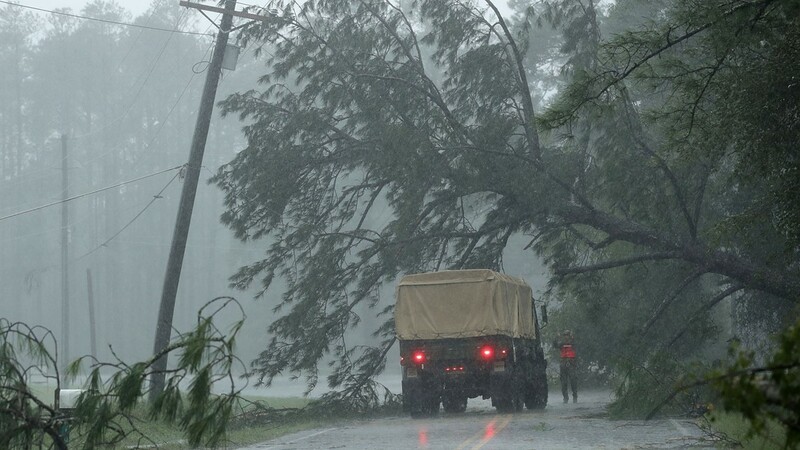 Wind gusts paired with historic rainfall totals brought down trees in nearly every area of the Cape Fear region. 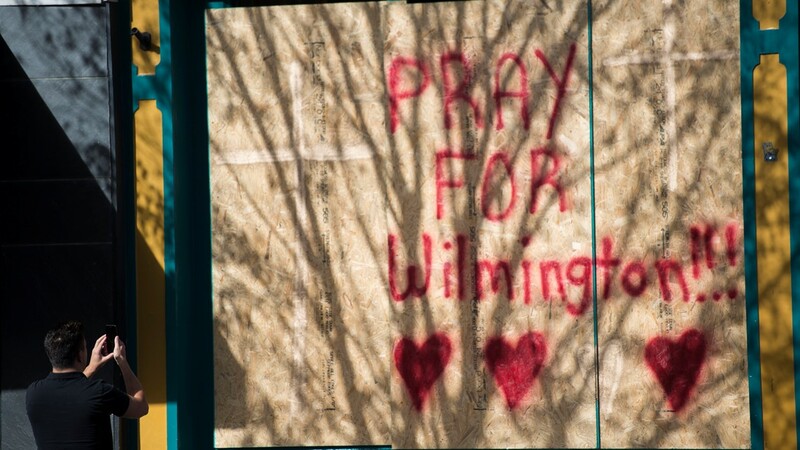 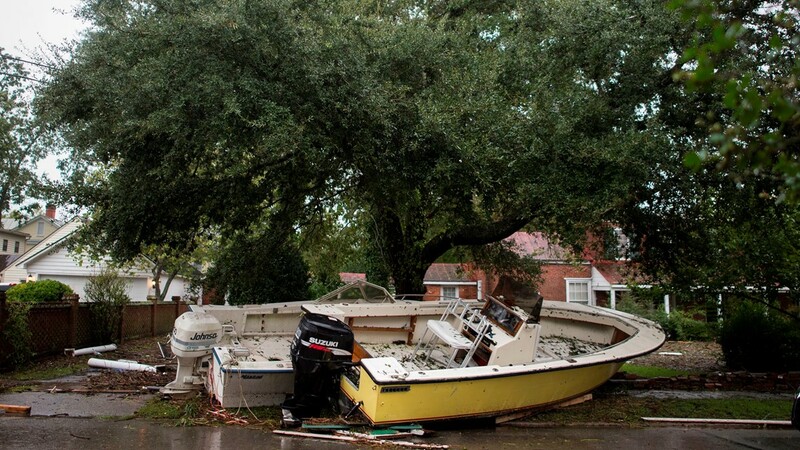 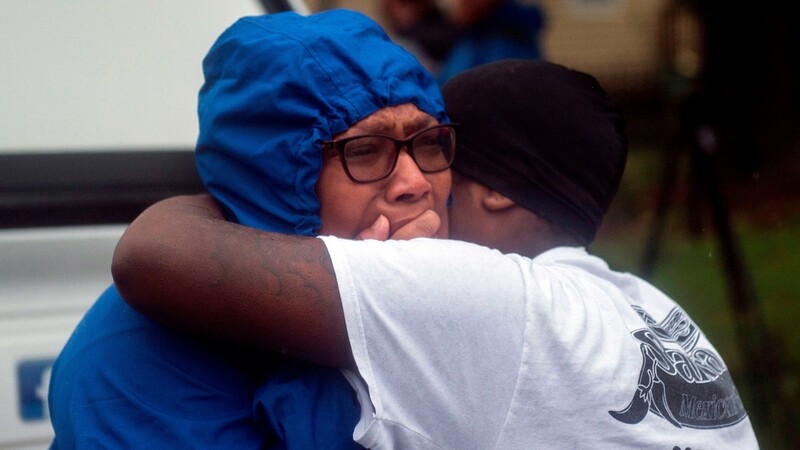 A Wilmington mother and her infant child were the first two fatalities attributed to the storm. 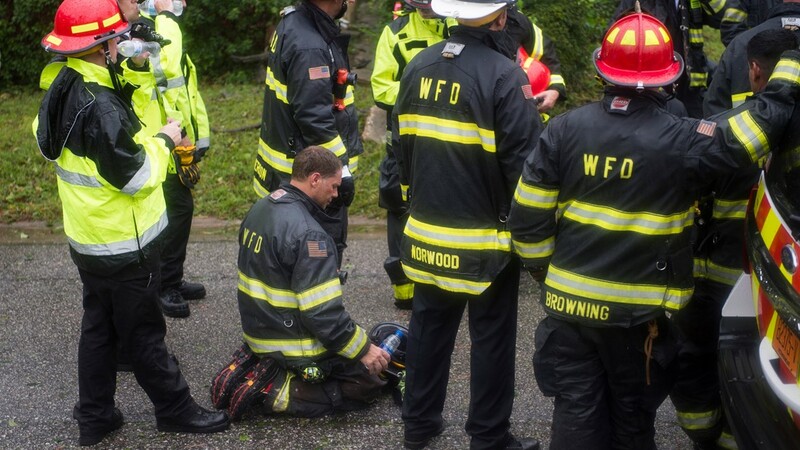 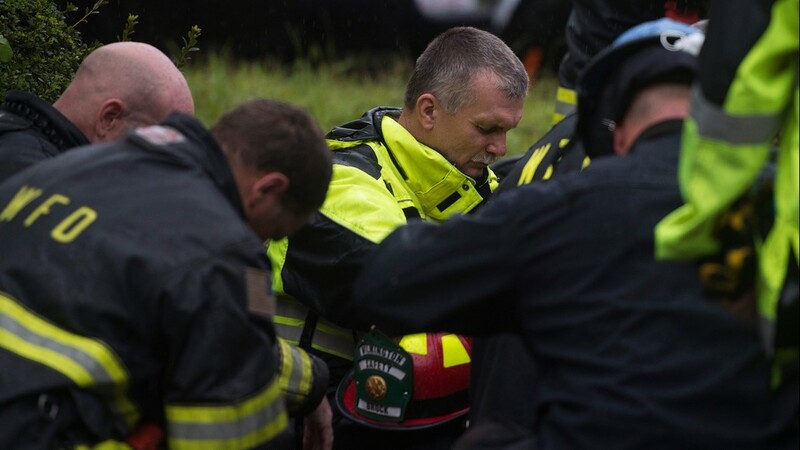 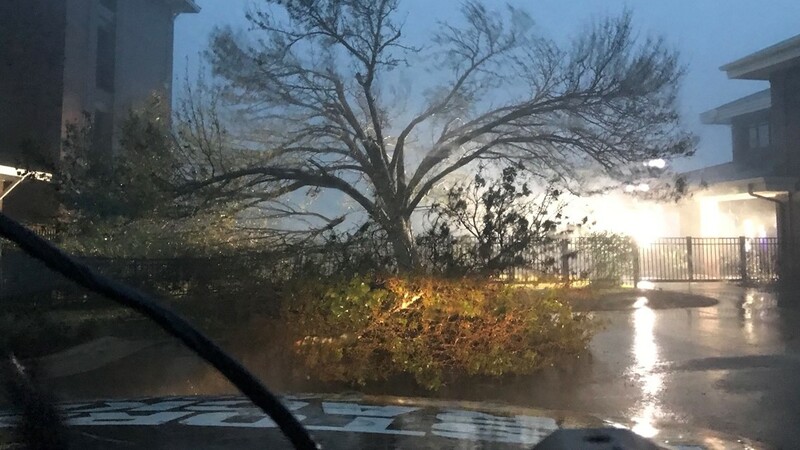 They died when a large tree came down over the back of their home, crushing and killing them while leaving the child's father hospitalized Friday morning. 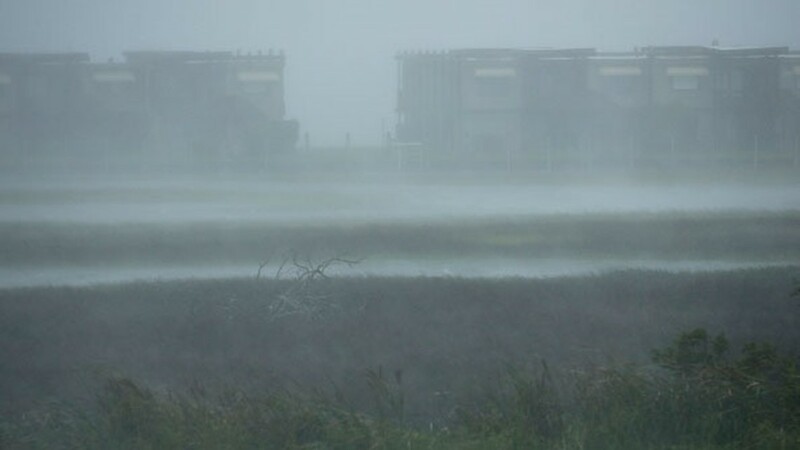 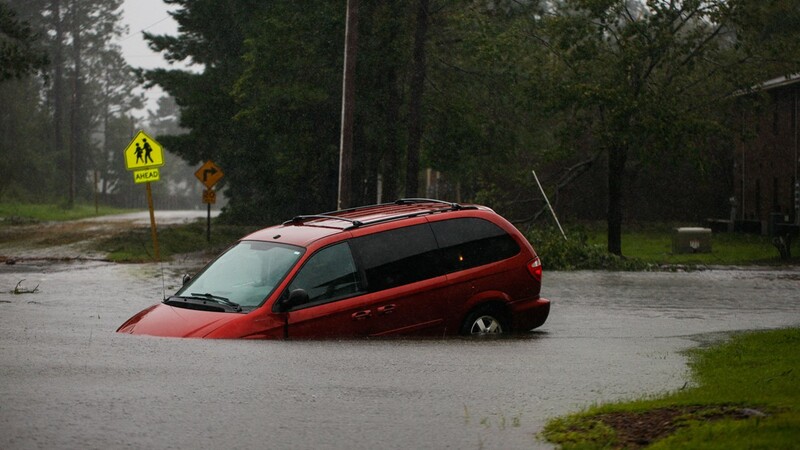 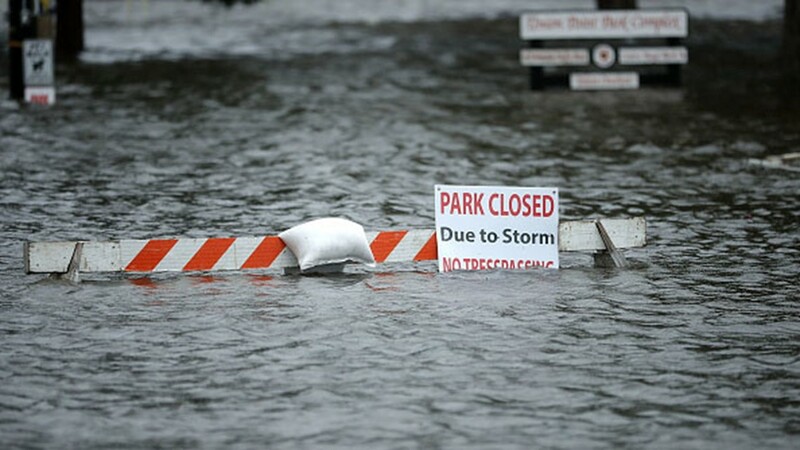 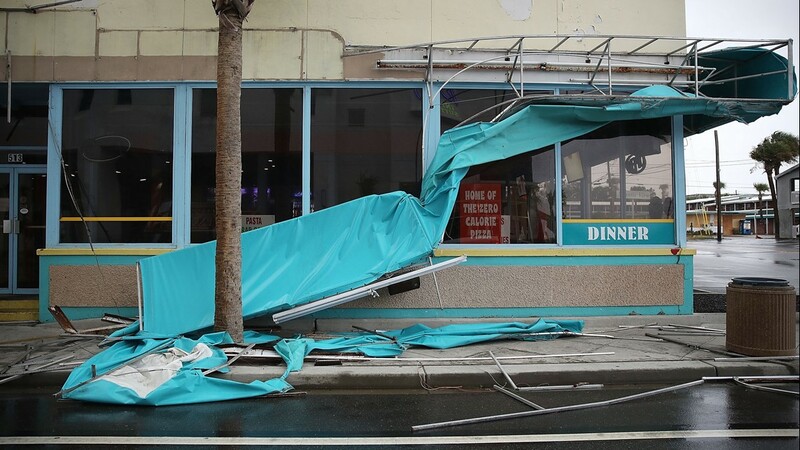 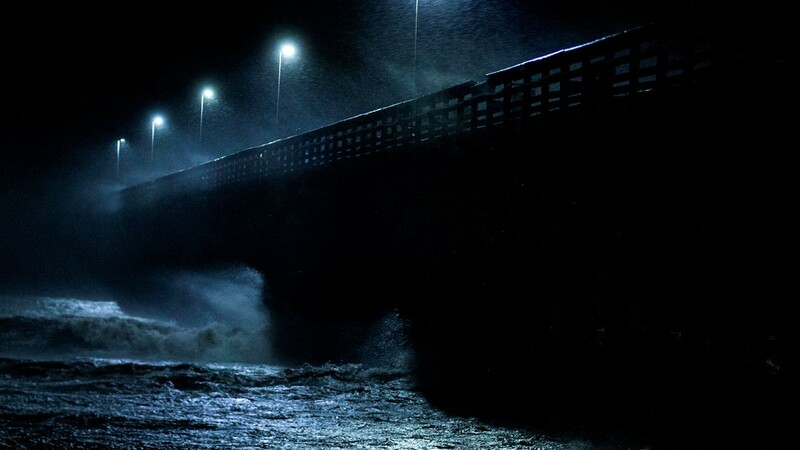 At least five people have died since the storm crashed into the coast and nearly stalled. 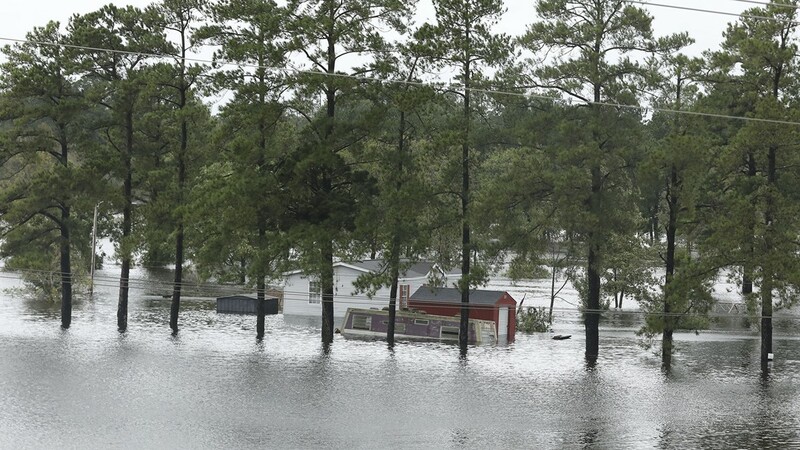 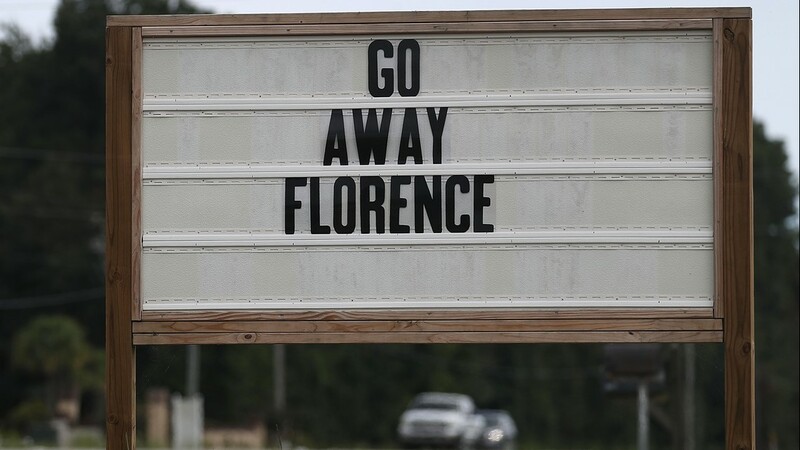 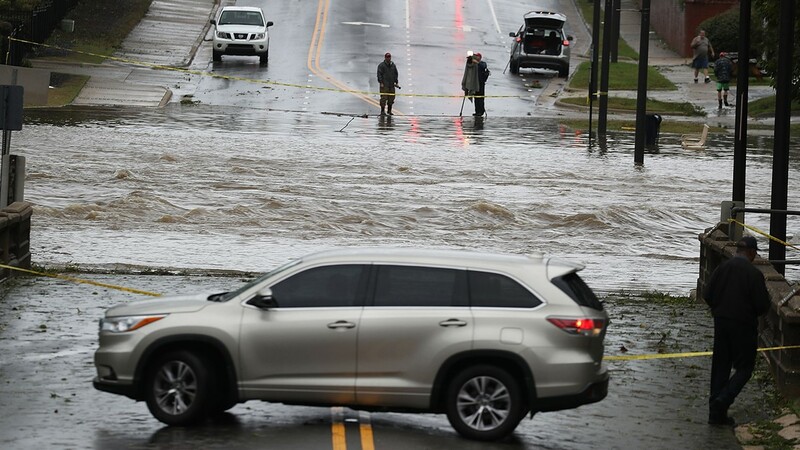 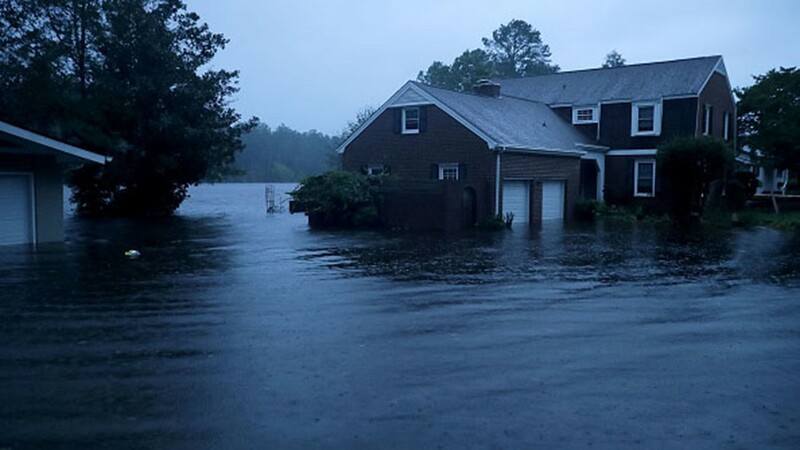 Though forecasters later downgraded Florence to a tropical storm, the monster system is barely moving over the Carolinas and could dump drenching rains of up to 3½ feet (1 meter). 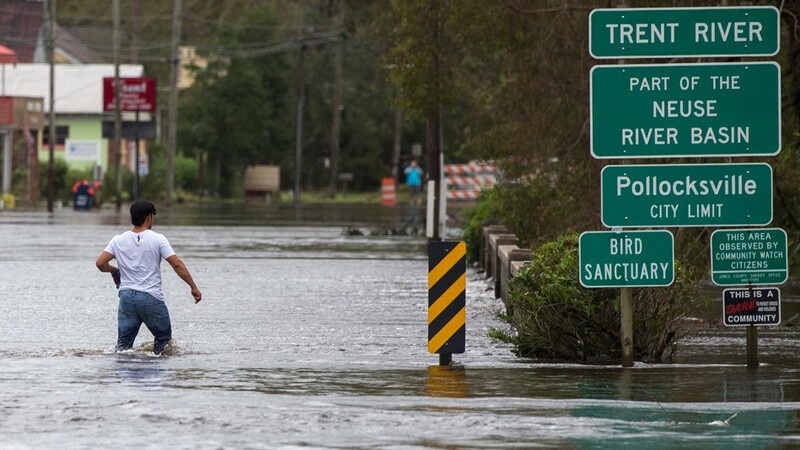 That, in turn, could trigger epic flooding well inland. 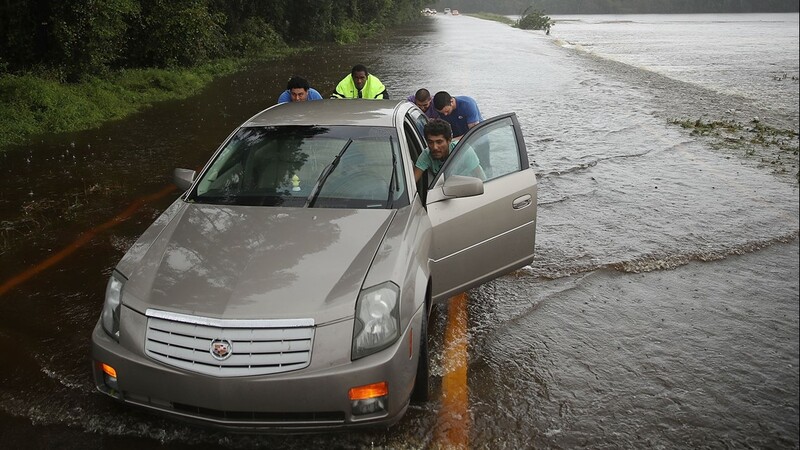 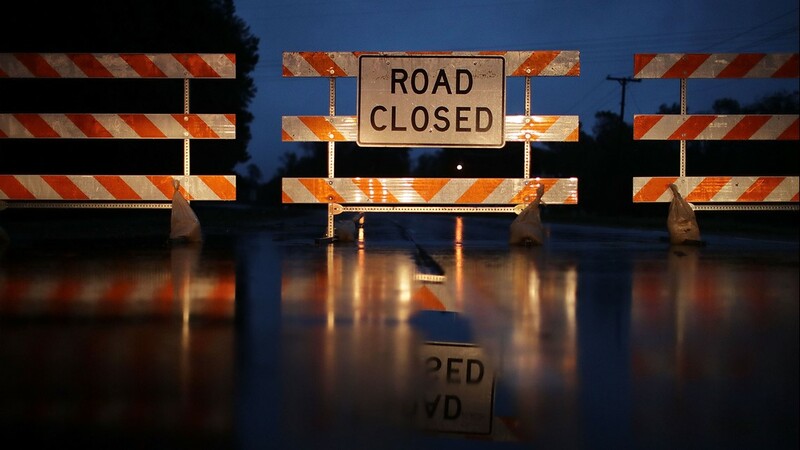 Between downed trees and rising water levels, some major roads were impassable and more secondary roads were also cut off. 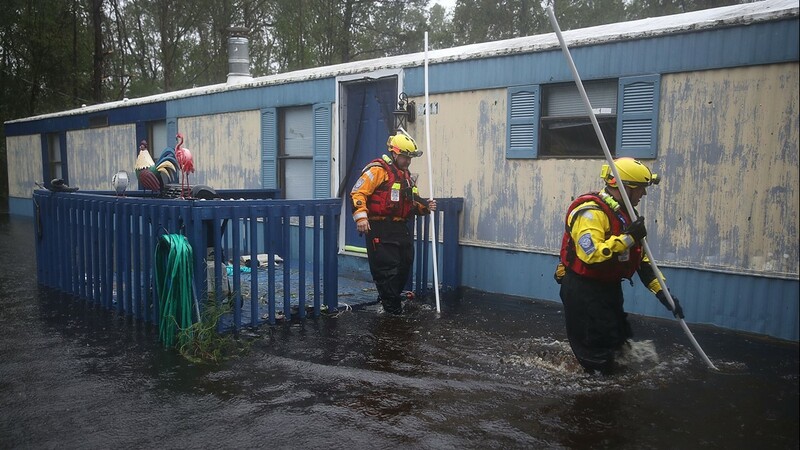 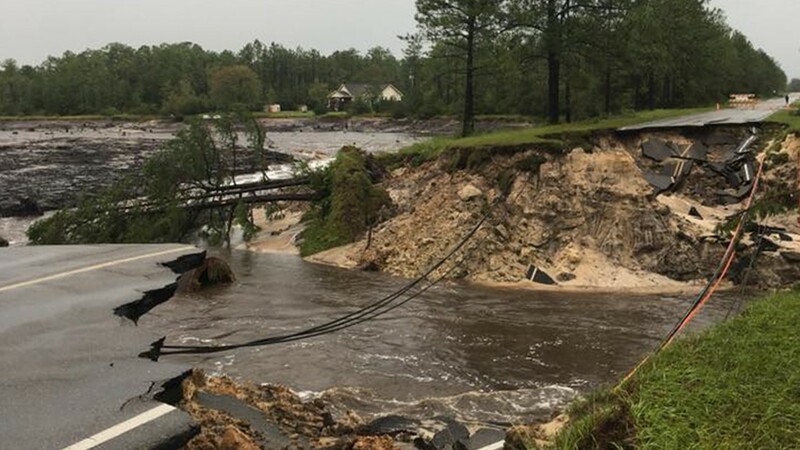 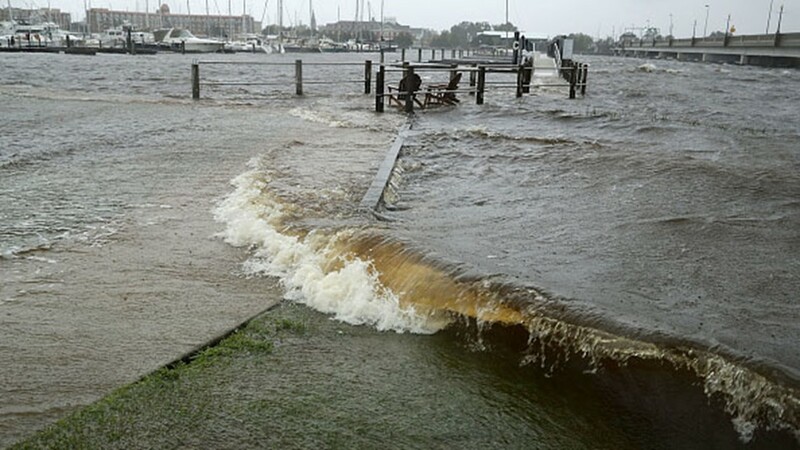 The Cape Fear River had spilled over the bank of Wilmington's riverfront by Friday afternoon. 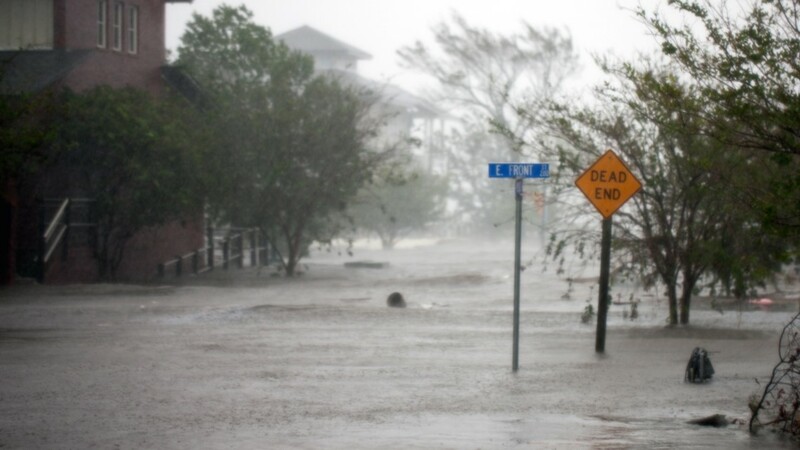 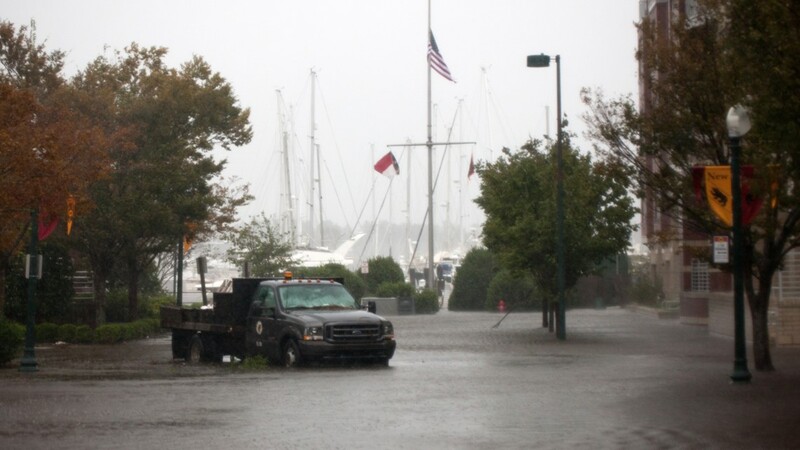 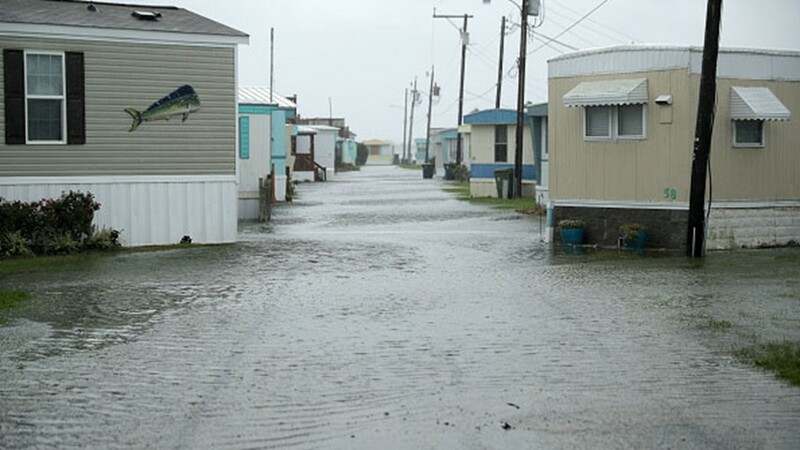 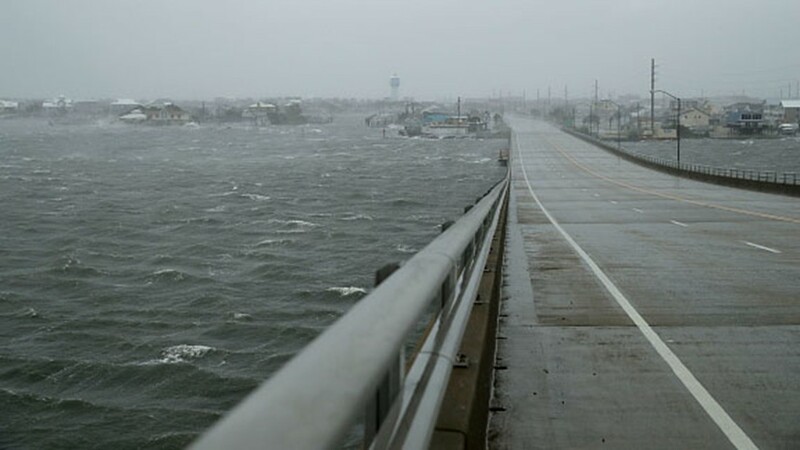 The marina leading to Wrightsville Beach had also risen significantly and flooded most of the parking lots, docks and roadways nearby. 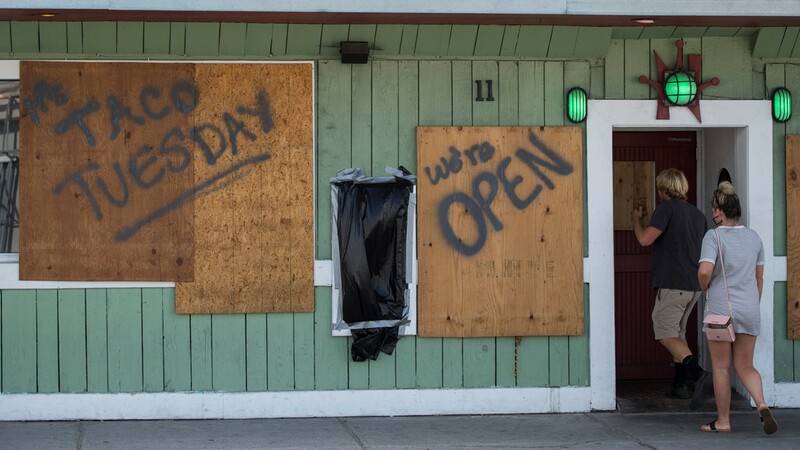 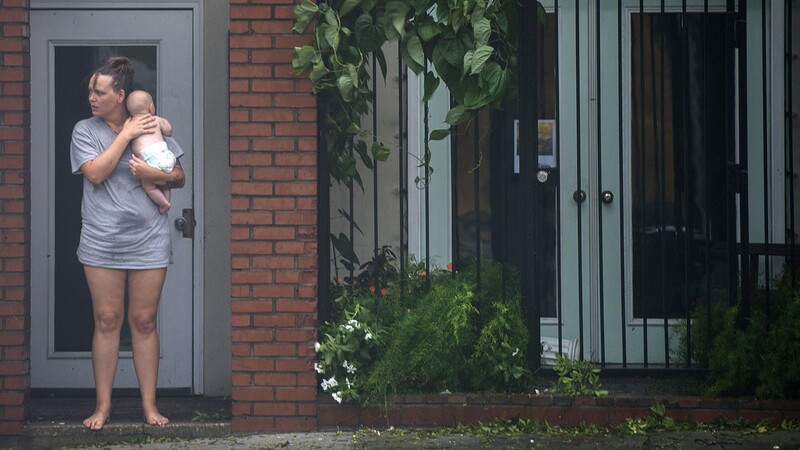 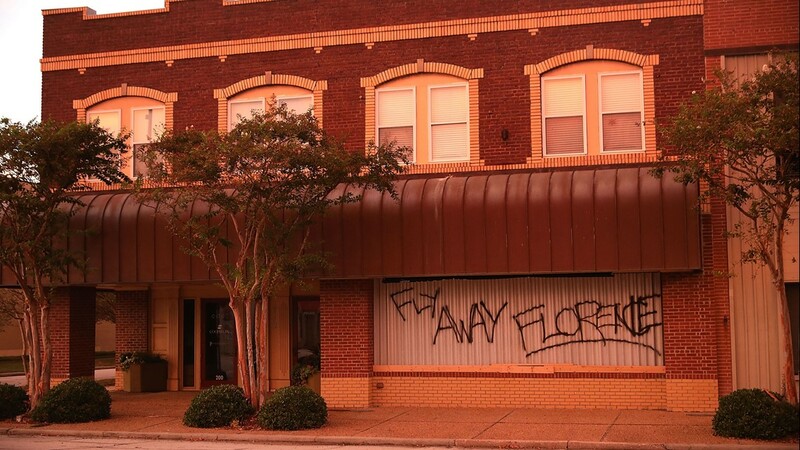 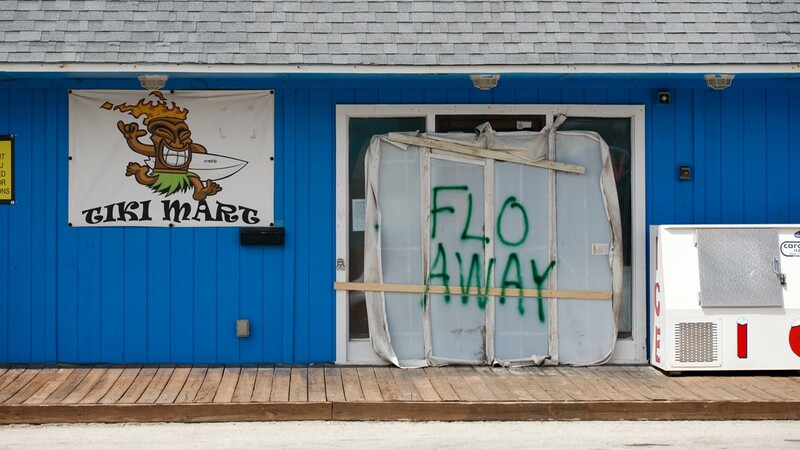 Residents and business owners around downtown came out from their hiding places as early as 8:30 a.m. Friday, about an hour after the eyewall of Florence had passed through. 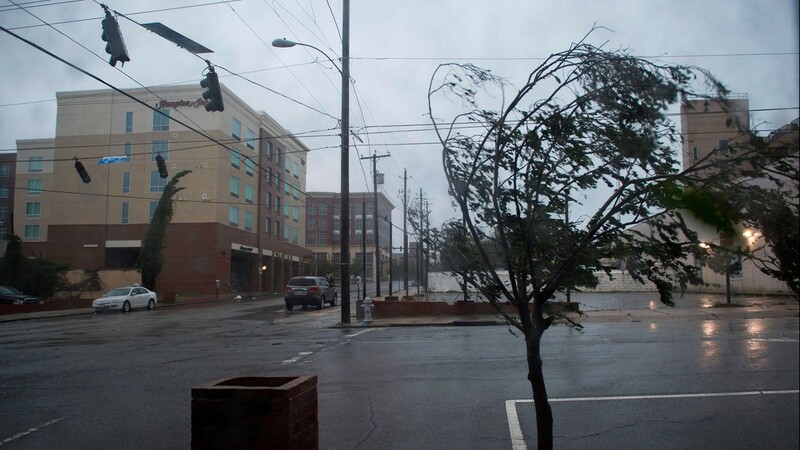 Massive power outages were reported, and downtown streets had fallen trees, broken storefront windows and damaged street signs. 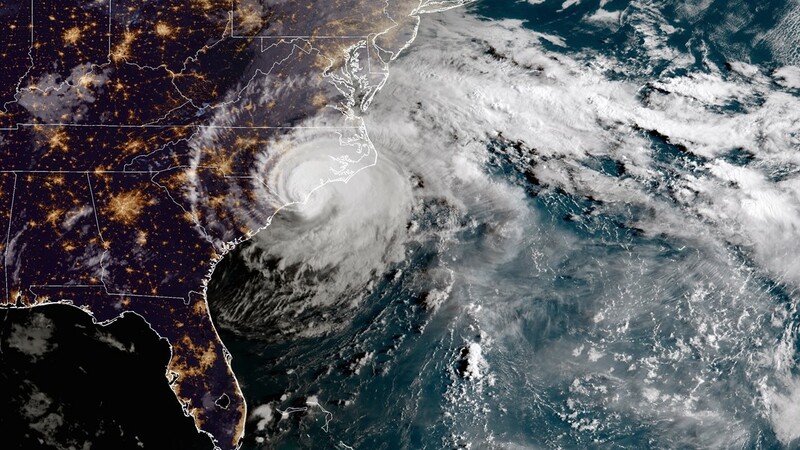 At a late afternoon news conference, New Hanover County officials said 106,000 Duke Energy customers were without power out of a total 127,000 customers, and they said that number was rising. 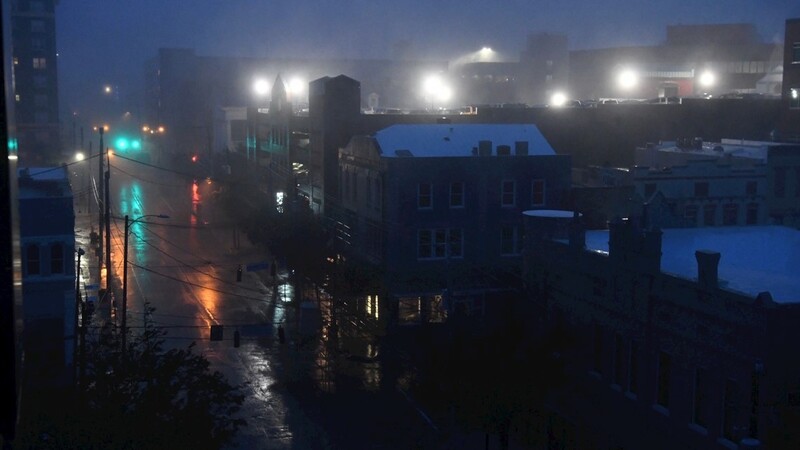 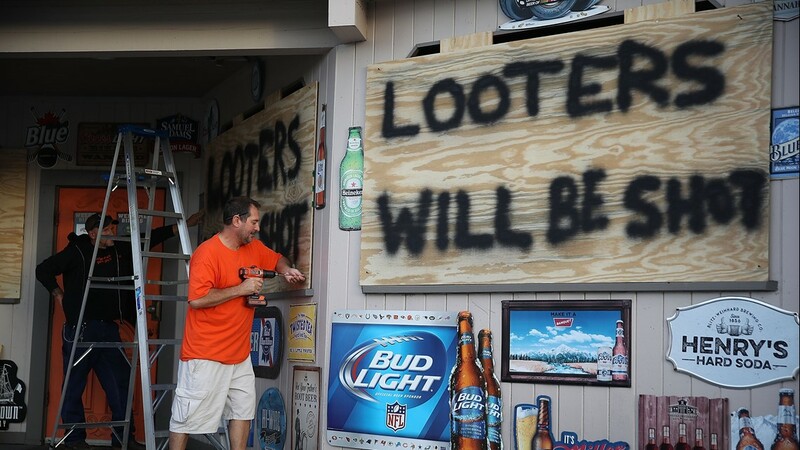 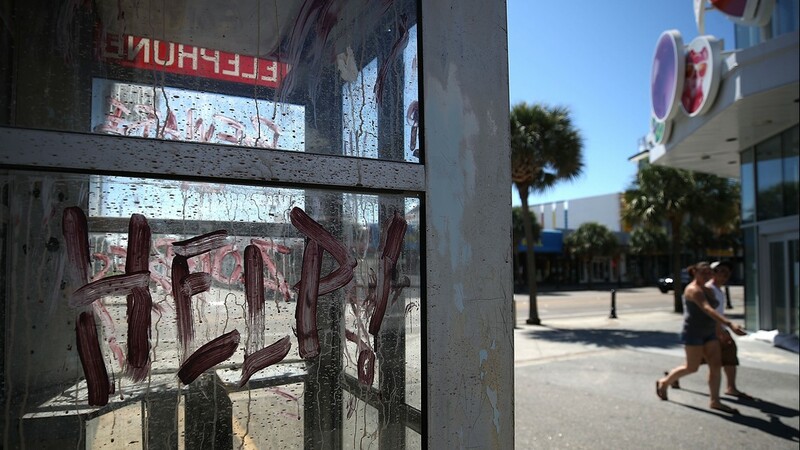 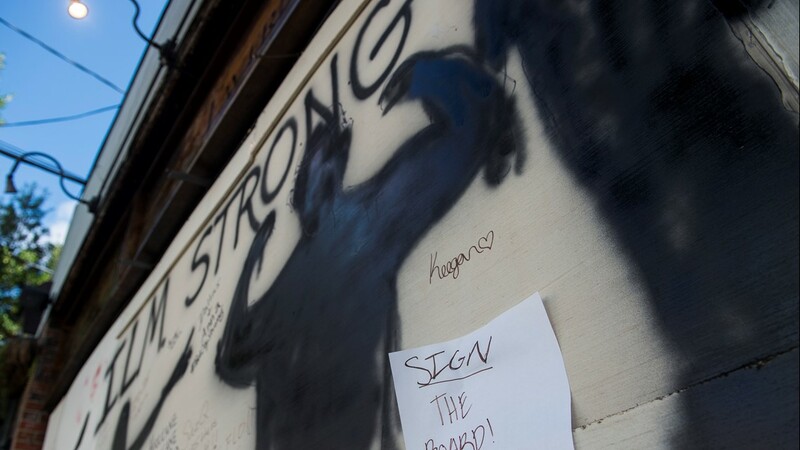 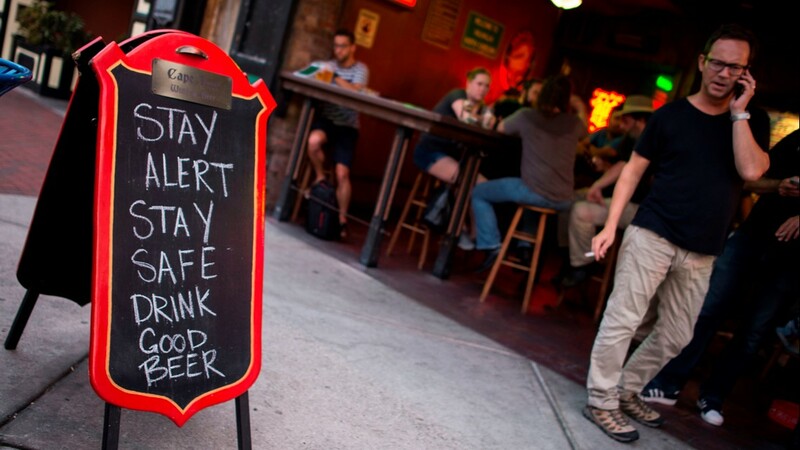 The blackout spurred the county to implement a 10 p.m. to 6 a.m. curfew. 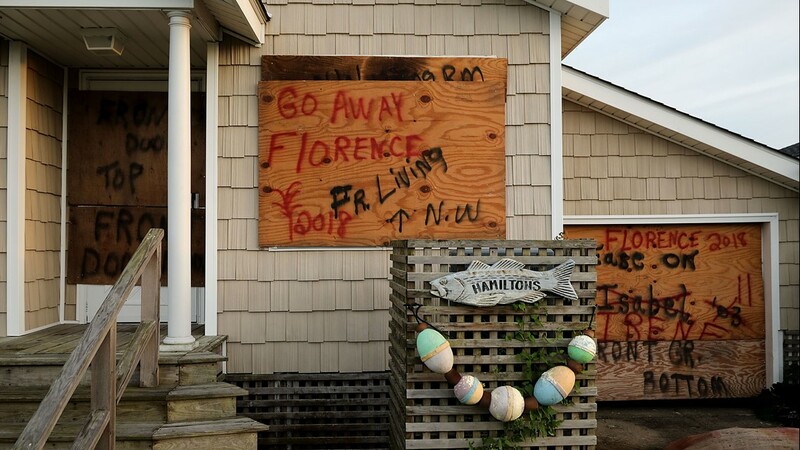 "A curfew is the right thing for our community," said New Hanover County manager Chris Coudriet. 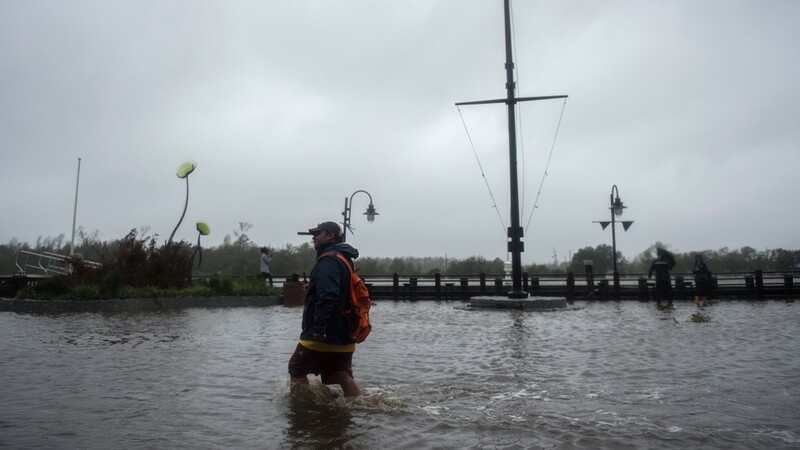 John Church, who works at Bourbon Street bar and restaurant, walked to the river to see the conditions about an hour after Florence made landfall. 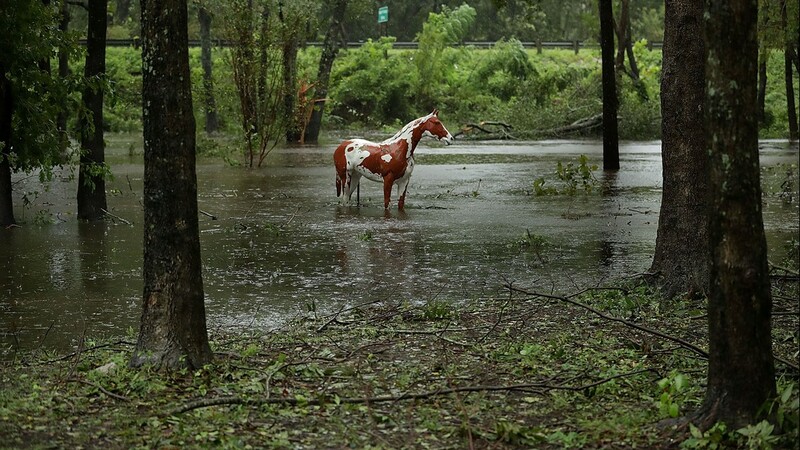 He stayed in the bar to ride out the storm. 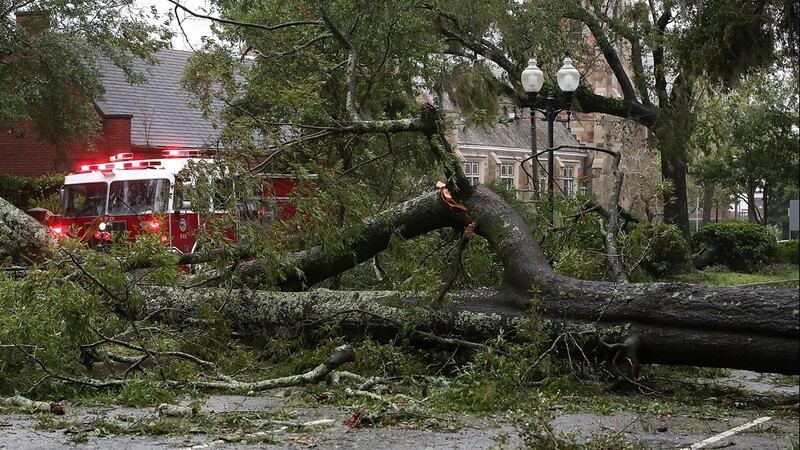 Several large trees had toppled in the city’s historic district. 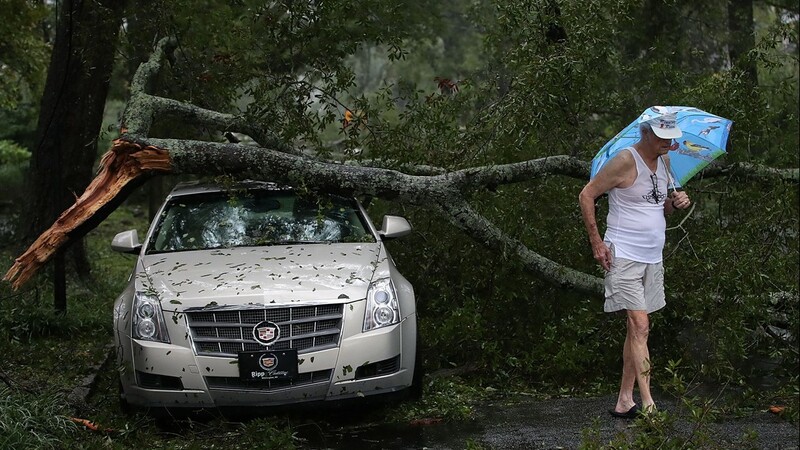 In a historic neighborhood just outside of downtown, mature oaks and other large trees had fallen onto gardens, gates, roofs and parked cars. 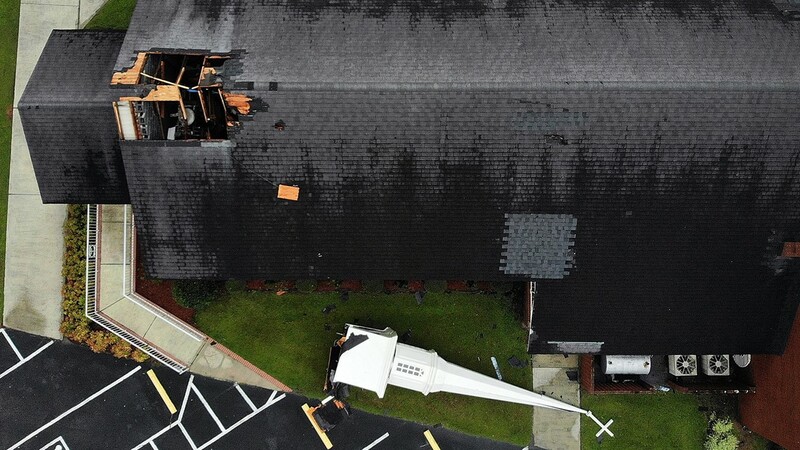 County officials said damage assessments would not likely begin until Saturday. 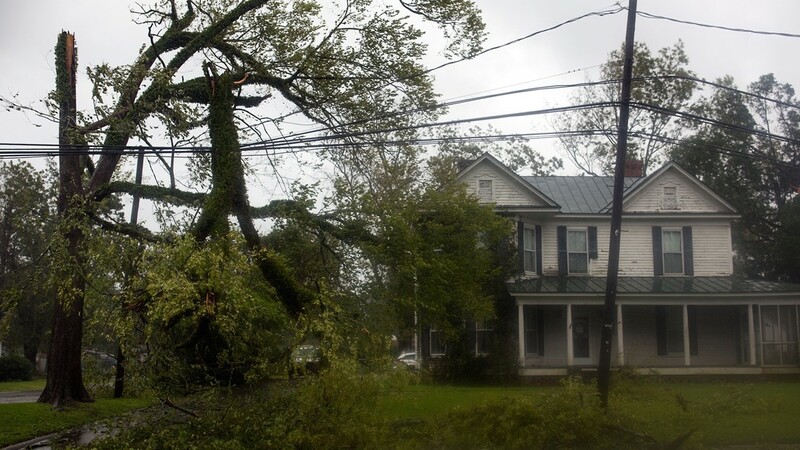 Duke Energy crews will have to wait until storm conditions subside before fixing equipment. 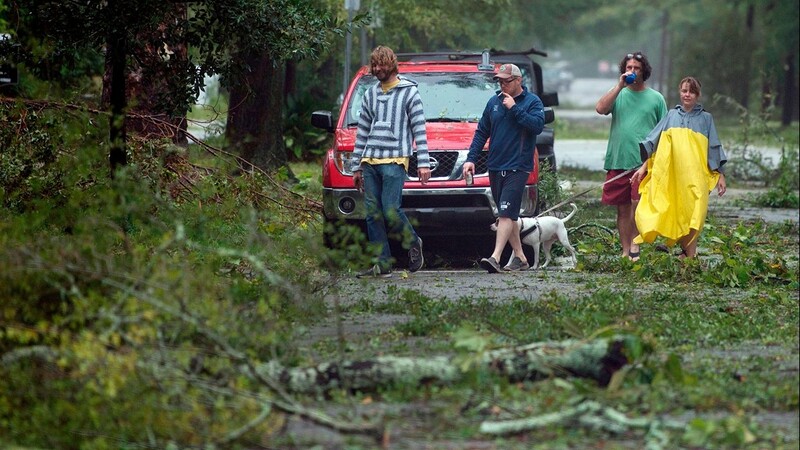 Power was expected to remain out in come locations for days. 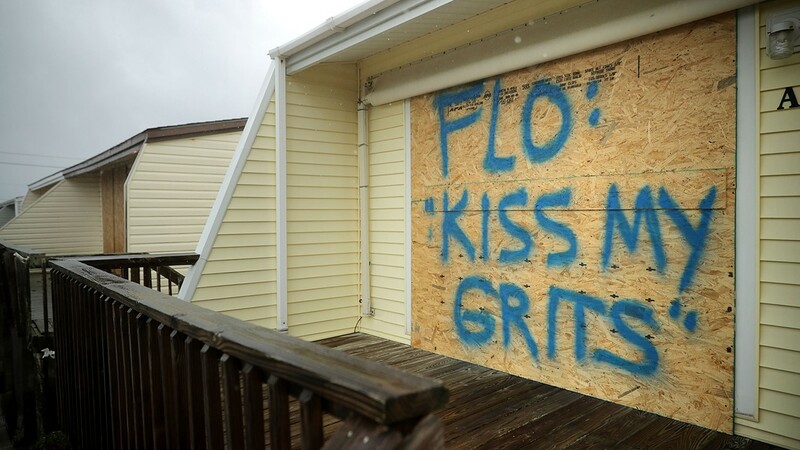 “Now we just have to figure out how to get hot coffee,” said Mary Holland, standing on the porch of her home that was built in 1889. 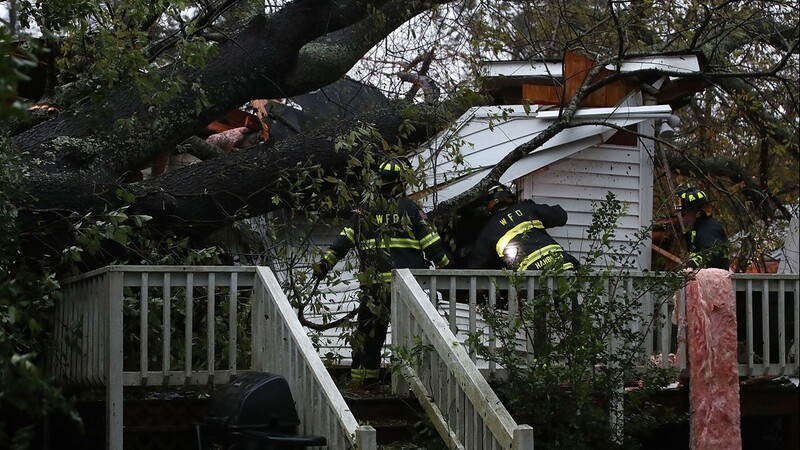 The home was unscathed despite large trees looming overhead. 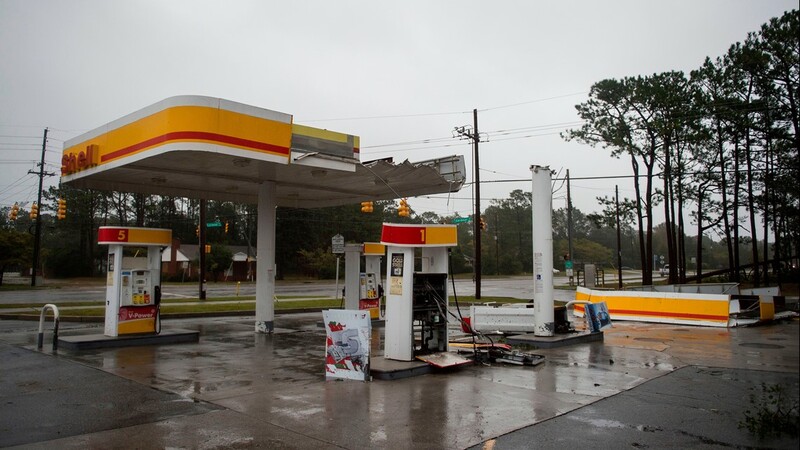 Mary and Jeff Holland said they had just replaced their roof after Hurricane Matthew came through in 2016 and brought wind damage. 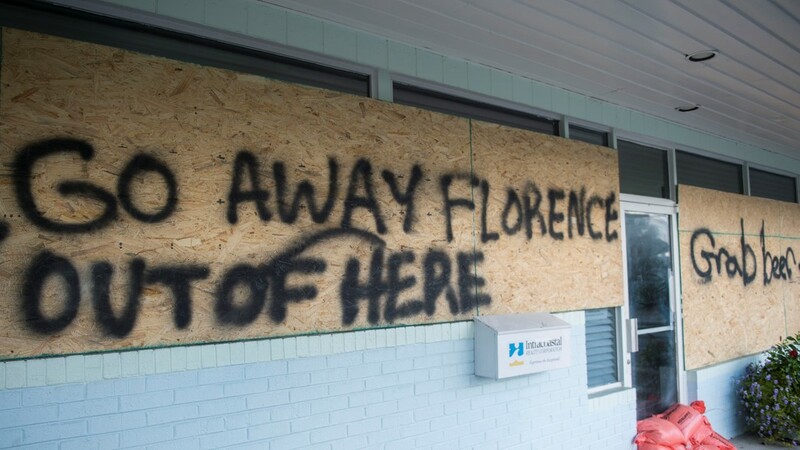 Thankfully, they said, the new roof held up for Florence. 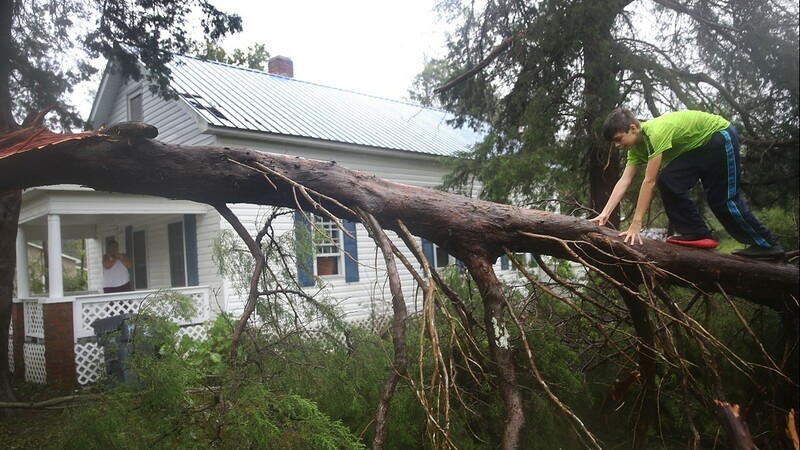 Neighbor Charles Carver didn’t come away without damage to his property. 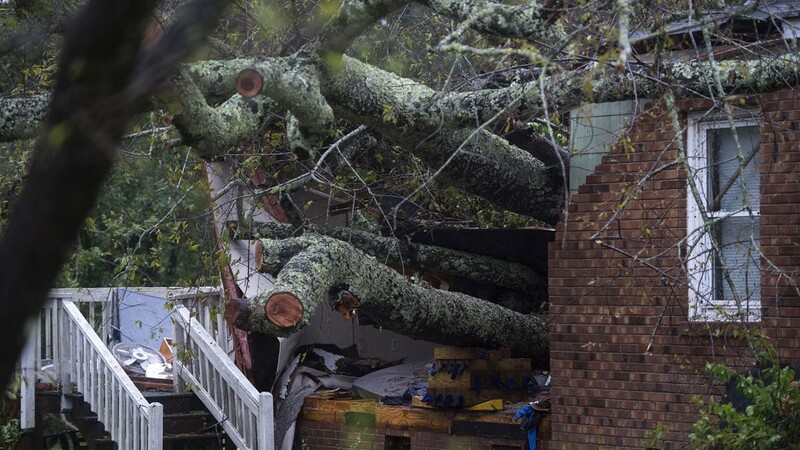 A tall tree came down over the back of his tin roof and across the siding. 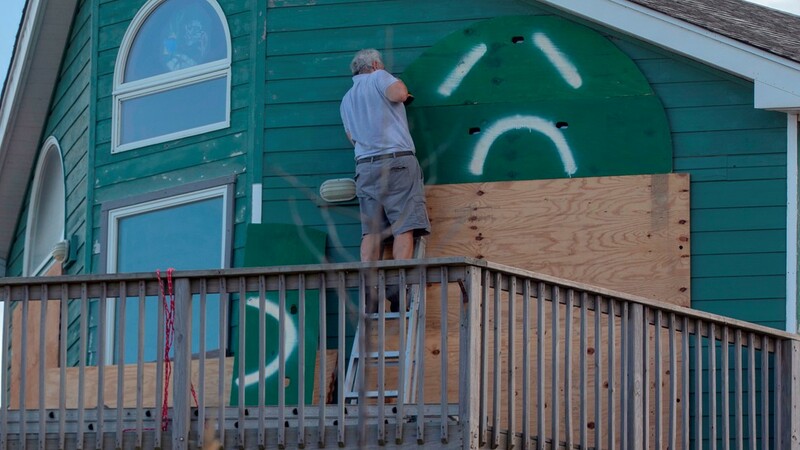 His wooden fence was also knocked to the ground. 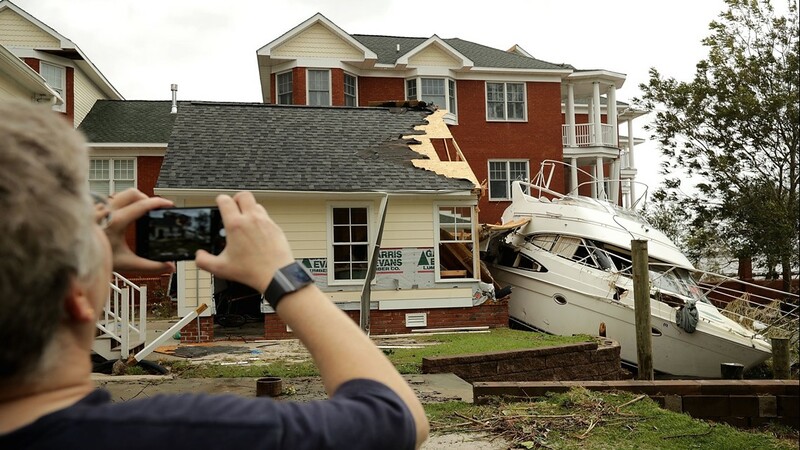 He said he plans to spend the next few days cleaning up, making repairs and deciding whether to file a claim. 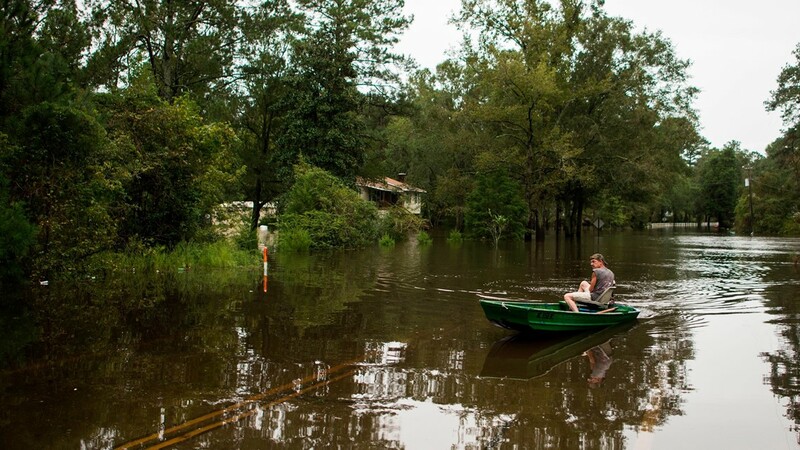 Living in his 1886 home for 20 years, he’s been through a handful of storms. 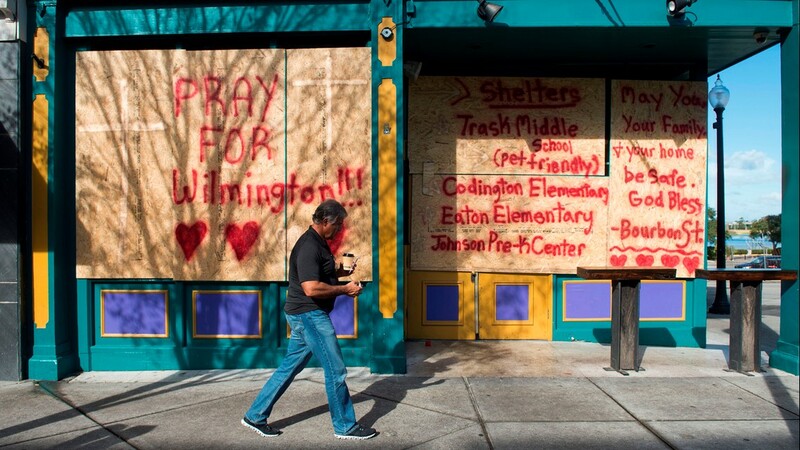 That was the year Hurricane Fran made landfall near Wilmington as a Category 3 storm. 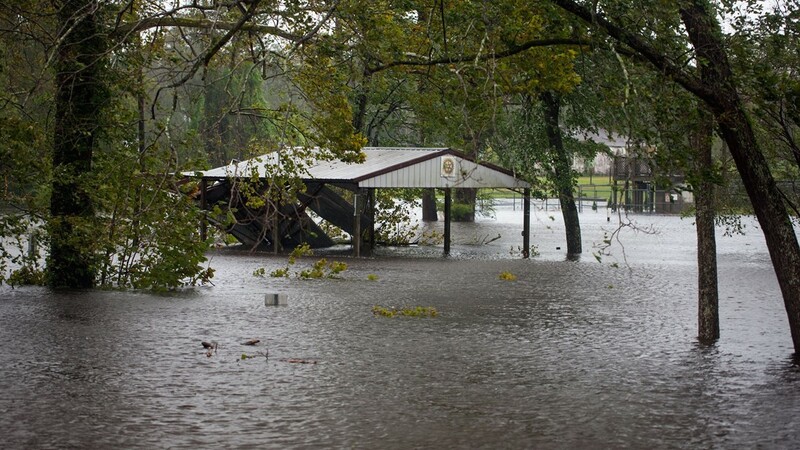 Across the street from Carver, a woman’s entire front porch awning was ripped down in one piece. 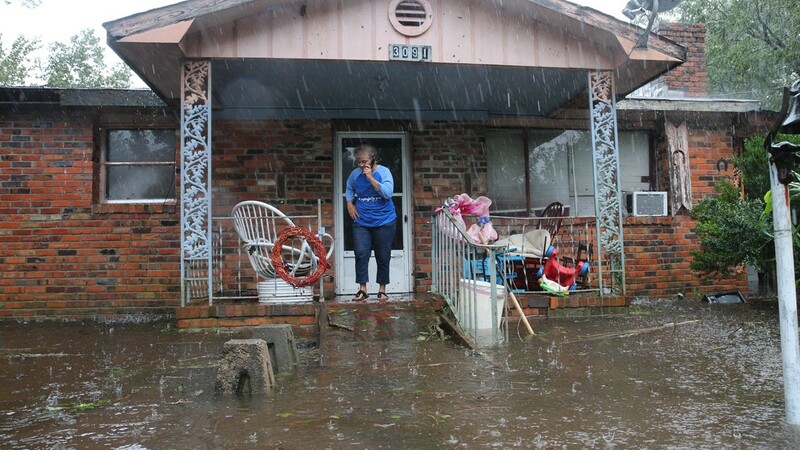 Nearby, Jennifer Barfield’s home was OK. She grew up in her home that has been passed down for generations.